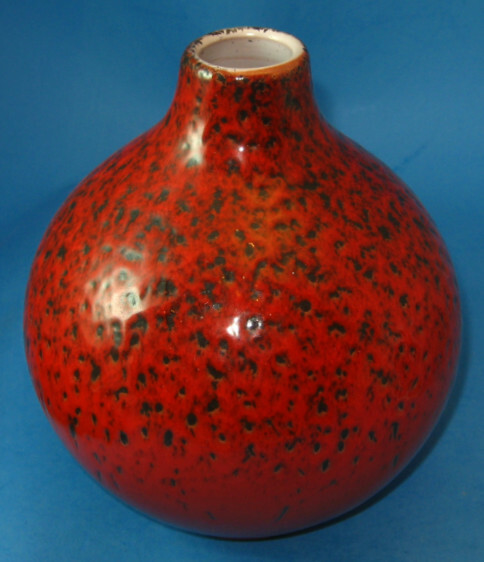 Waechtersbach: This is shape 0206 from Waechtersbach featuring a red over black volcanic glaze. 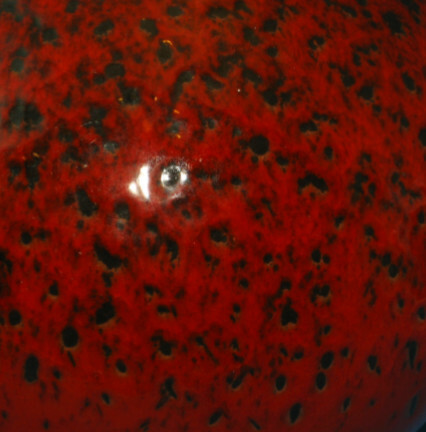 The craters are small, smooth-edged and irregular in shape, ranging from circular to linear....with the linear craters at the lower level. 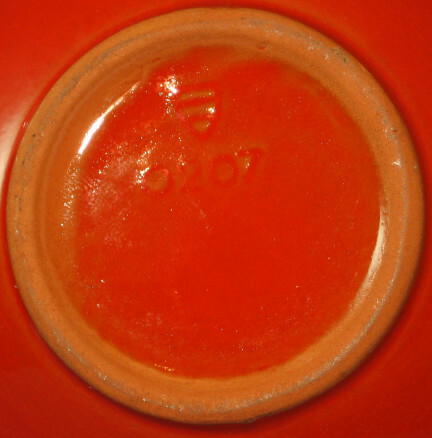 The vase has the Waechtersbach shield mark as well as the shape number 0206. 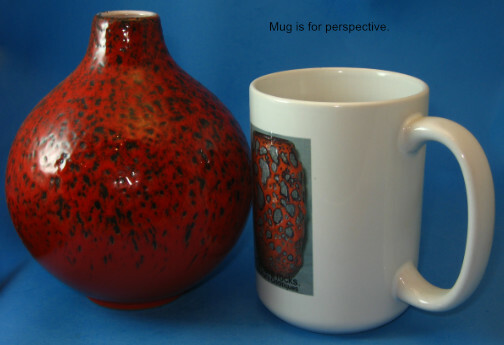 Size: Height is about 5 3/4" and diameter of about 5".